Ok, just two for now, but I wouldn't mind if they experimented with some other flavors. Right now, 12 oz. 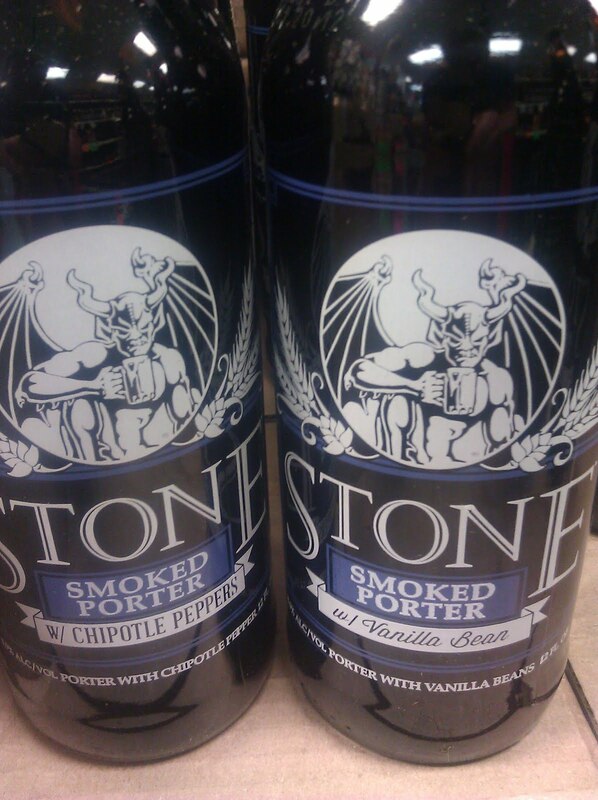 bottles of Stone's Smoked Porter are available in vanilla bean and chipotle pepper versions. I've only seen these at the Kelly's on Wyoming so far, but I'm sure Jubilation has them too- especially since Jubilation got the Ruination 10th and Kelly's got shut out so far. Beer Geek! you need to come to Kellys Juan Tabo not Kellys Wyoming! we have had all 3 since Friday last week! Good advice! It's just a little further away from me but I will try to get in there more. I know you guys do a great job getting new beers in. Sounds good, ask for me next time you come in, I would like to meet you! My name is Kevin.